Looks like Microsoft’s finally going to take Xbox Live mobile integration seriously with Windows Phone 7 Series. The upcoming MIX 2010 conference will focus on general app development for the company’s brand-new mobile OS, but interestingly, Microsoft’s plans for the Game Developers Conference (GDC) indicate that the company will be making several mobile-oriented presentations there too. What’s interesting is that GDC will actually precede MIX, so we might find out about WP7 development before MIX itself, and the WP7 presentations are scheduled to take up more than a quarter of Microsoft’s time at GDC. The future of Windows Phone has never looked better. 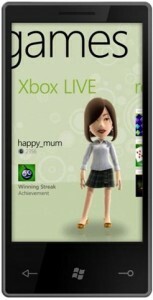 With the release of Windows Phone 7 Series, game developers will be able to create amazing content rapidly. This talk outlines the basic framework for games, presents Windows Phone 7 Series device characteristics, and provides and overview of game development on the phone. Windows Phone 7 Series is a highly capable platform for game development. This talk covers 3D game development on Windows Phone 7 Series with an emphasis on the unique characteristics of the platform. The talk also focuses on optimizing high-performance games for the platform, to help developers squeeze out every last drop of performance. This talk discusses the basic tools available to game developers on Windows Phone 7 Series, including debugging, emulation, and performance tools. The talk places special emphasis on best practices for performance and profiling tools that can be used to optimize games for Windows Phone 7 Series. The Xbox LIVE service is going mobile! With Windows Phone 7 Series, core features such as Achievements, Leaderboards, and game invites will be available to games on Windows Phone 7 Series devices. This talk covers the basics of the services available and how they can be used to enable core Xbox LIVE functionality in games. In addition, this talk will present best practices for connecting Windows Phone 7 Series games to back-end servers. Previous story TVR eying return, new 500hp coupe may come to US?